Oct. 16, 2014, 2:24 p.m. The station is putting together a team for BizLab, a project that will work outside of day-to-day operations to transform the public radio revenue strategy for digital. By Justin Ellis @JustinNXT Oct. 16, 2014, 2:24 p.m.
embership is having a moment in the world of media. Companies like The Guardian, The Wall Street Journal, and The New York Times among others are attempting to develop new sources of revenue or deeper relationships with readers through a variety of affiliation programs. The idea: A tighter bond between audience and publisher will pay dividends — either in actual dollars or valuable customer data — down the road. It’s a strategy that’s been at the foundation of public media for years. So why is Boston’s WBUR, one of the biggest public radio stations in the country, trying to fiddle with a system that is the envy of many in the for-profit media world? Recent media history is filled with healthy companies whose fortunes change as traditional business models were undercut by digital technologies. The classic public radio fundraising drive is a good example. Kravetz said 69,000 people contributed to WBUR last year, all of whom could have still listened to the station without it. It’s a timeless strategy, one that provides stations with operating dollars and listener information, while giving members something approximating a personal touchpoint with the station. But fund drives are annoying at best, inefficient at worst, taking time away from normal programming in the name of forcing listeners to give money over the phone. Given how audiences are changing — sliding away from terrestrial radio to listening to digital or time-shifted programs — that system could quickly become obsolete, Kravetz says. “When they listen to the stream on their phone or a podcast or other platforms our content is on, they have to have a relationship with us or we will go away,” Kravetz said. Experimenting with something like that is hard to do on a daily basis, which is why BizLab will be separated out from the day-to-day operations. They’ll examine the station’s current revenue streams — donations, grants, sponsorships — and try to find ways to adapt and amplify those methods to changes in technology. It’s not a small task; BizLab is tasked with exploring things like behavioral economics, historical patterns around giving, and the changing ways audiences consume public radio. On a weekly basis, WBUR has half a million listeners in the Boston area, who average four hours of listening each week. How those people reach WBUR is continuing to shift, said John Davidow, executive editor of WBUR.org. “The digital audience continues to grow and, proportionally, our listening is also going digital as well,” Davidow said. Digital listening is coming through mobile more than desktop; that includes people coming to the station’s mobile site and the WBUR app, but also listening to shows cut up as podcasts in iTunes, Stitcher, and other apps. The show On Point, for example, has the largest podcast audience of any program at the station, Davidow said. While public radio listenership may be going online, audience research shows the online audience hasn’t grown much outside core NPR fans. Untethering shows from the mothership through podcasts and other third-party platforms has the benefit of reaching new audiences, but it also creates an extra layer that distances stations from potential members. In the same way the web has flattened access to news from around the world, geography is no longer the key factor in whether you can listen to a public radio show. This creates a problem in how listeners connect (and, potentially, support) public radio. The urgency of a pledge drive loses meaning in a world of time-shifted podcasts, and online giving becomes difficult without simpler solutions for digital payment. 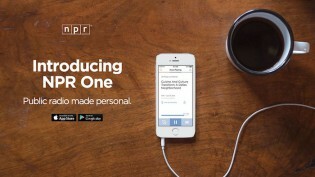 One of the biggest examples comes from NPR itself with the new NPR One app, which creates personalized stream of NPR shows ready at a moment’s notice on your phone. While NPR One creates a direct pipeline to shows like All Things Considered and Morning Edition, it also has the potential to further the divide between local stations and the NPR mothership. To try to alleviate that, NPR built in some localization features — users set their local station, meaning Boston listeners will see WBUR (or WGBH) branding and hear local news updates. While the app offers a “How to donate” button, all it does is send an email to users with a link directing them to give to their local station. “We’re very mindful of having that connection to our audience, but it is obviously a challenge as more and more great content is produced for online consumption with no need for a radio antenna,” said Davidow. Getting public radio to examine how it makes money and think about audience relationships is not an easy thing, Kravetz said. Public media, not unlike for-profit media, became very comfortable with a business model that produced a consistent revenue stream to fund its work. But nonprofit journalism has to start thinking more like a business and be open to new methods of reinventing the franchise, Kravetz said. 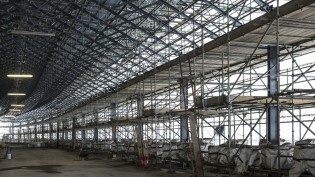 Large grants and gifts, whether from foundations or philanthropists, shouldn’t be assumed or counted on to cover basic operating costs, he said. 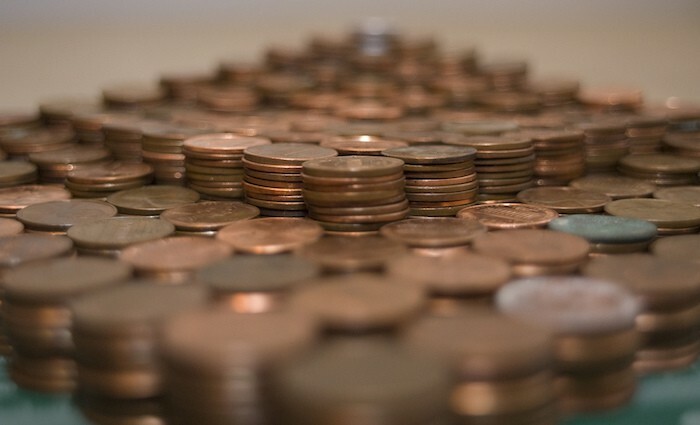 Photo of pennies by Adam Minter used under a Creative Commons license. POSTED Oct. 16, 2014, 2:24 p.m.
Ellis, Justin. "Breaking up the pledge drive: Boston’s WBUR wants to build a new model for public media funding." Nieman Journalism Lab. Nieman Foundation for Journalism at Harvard, 16 Oct. 2014. Web. 23 Apr. 2019. Ellis, Justin. "Breaking up the pledge drive: Boston’s WBUR wants to build a new model for public media funding." Nieman Journalism Lab. Last modified October 16, 2014. Accessed April 23, 2019. https://www.niemanlab.org/2014/10/breaking-up-the-pledge-drive-bostons-wbur-wants-to-build-a-new-model-for-public-media-funding/.